These are the words our technicians live by when servicing, wiring and installing new systems. Attention to detail is critical to SoundVision’s process and our customer’s satisfaction. Serviceable–Our equipment and wiring is never left in a “rat’s nest,” it is always clean and neat to allow us to easily service systems if need be. Labeled–We keep all wires and components labeled and we include SoundVision logo and contact information so you can easily contact our service team if needed. Clean–We always keep a clean and clearly organized work space. Accessible–The ability to easily pull out equipment and racks in anticipation of future changes. Robust–We pride ourselves on our long lasting systems and lifetime guarantee on our workmanship. Reliable- We offer an unparalleled level of service and have a low tolerance for failure. Check out the diligence of our scrutinized installation process in the photos below. Take note of the cleanliness, accessibility of our systems and our labeled, easily serviceable equipment. At SoundVision our design, engineering, installation and programming processes always begin with the end result in mind. We start every day off with a plan and take the steps necessary to accomplish our set goals. In order to minimize ambiguities we stick to our word and put ourselves in the customers’ shoes in order to fully understand the needs of our client and be the most professional contractor on every project. Unlike others in our industry who are a lot more fault tolerant, our goal is for our systems to always work. Some home automation systems need monthly reboots, but at SoundVision we will not install a product that “mostly works”. Consumer electronics are notorious for failing, breaking and not doing what they say they’re going to do. Some things are in our control and some things are not, but we do our very best to mitigate the failures. New electronics come out all the time and they are AWESOME, in theory.... But before we bring them into your home we must test them in our own homes, office or showroom and if they don’t perform as promised we will find a better solution. We are dedicated to our customers and our products and want you to have the best experience possible. Work with our renowned team on your next project to simplify your life and we guarantee you’ll have nothing but good things to say. Mounting your TV… the right way! There are several mounting options to consider for your TV. Most often we see TV’s mounted flat on the wall, but there are some creative alternatives that may be perfect for your home. We can mount your TV on an articulating arm that allows you to pull the TV out and swivel it. These are great for areas where you want the TV at an angle, and you want it tucked away completely when not in use. All you have to do is pull them out when you want to watch TV, shift to the right angle and push it back in when you’re done. Bring the articulating arm up a notch with a motorized arm so as soon as you power on your TV it will automatically swing out to the set viewing area and when turned off it returns to its resting place. This allows the TV to automatically be put away when not in use, ideal for TVs that need to be tucked away in corners or against side walls in bedrooms to help utilize your space, yet still have a comfortable viewing angle. If you really want it to be clean and elegant, consider the motorized option to ensure your TV is always returned back into its nook or cabinet. If you want your TV to go completely unnoticed you can go for a more creative option, the ArtScreen. The TV is installed behind a painting of your choice. Guests will only be aware of the TV when you turn it on. Just use the remote to power on the TV, the canvas is rises to unveil the hidden TV. When you have finished watching, turn it off and the painting returns in a matter of seconds. The system allows you to choose any frame style, and couple it with your favorite piece of art. We have the Artscreen on display in our showroom if you would like to check out this elegant solution. Another fun alternative is the mirror television. This product is a mirror until your turn it on and it is transformed into a TV. This item is essential for customers who’s priority is integrating their electronics into the aesthetic of their home. We have products ranging from a mirror TV for the living, bathroom or bedroom, as well as the new STORM television which is a waterproof outdoor product. Find out more about these revolutionary mirror TVs. Call SoundVision today and discuss your best mounting options to transform your home and get the most out of your living space. With the increasing amount of connected devices, wireless access is more important now than ever. A solid home network is crucial for a reliable connection without interruption, but often time it is not so simple. Ideally we would be able to stream, download, surf the internet and connect our gaming consoles to the same network from anywhere in the home with out any hiccups, but as we know networks can be tricky. Not all networks are created equal, and there are some connectivity issues we are routinely faced with. Most of the issues in response to home networks are in terms of signal strength, or the WiFi coverage area. How frustrating when you realize you are set up in the dead zone of your own home and are forced to work around your spotty connection! Bandwidth issues result in slow network performance which can truly turn simple tasks into a dragged out process. With the amount of videos and audio we to stream bandwidth is a common issue that can surely deter our internet experience. Lastly and most importantly, interference from adjacent networks can affect your network in a HUGE way, we want to mitigate these interference as much as possible. Most readily available consumer grade network products don’t have the power and throughput needed to solve these issues of signal strength, bandwidth and interference. We now recommend commercial grade networking components because the residential products don’t have the capacity that our user devices demand. We currently use Cisco, Aruba, Pakedge and Ruckus commercial grade products as a more robust networking option for your home. Call us today to find the best networking system for your home! SoundVision is the leader in integrated security & alarm systems in our service area. SoundVision has designed and secured homes and businesses by integrating top of the line security and surveillance products with other automated systems. When it comes to home security Honeywell is our preferred brand with its vast array of products. Honeywell security systems are fully customizable, robust and easy to use. They do more than just keep you safe, they offer peace of mind through remote access when you’re away from your home. Real time alerts, indoor/outdoor sensors, environmental sensors, 24-hour monitoring, emergency help, home security lighting, remote locking, live video access, a simple app, thermostat control, theft protection sensors. If you want to find out more about SoundVision’s security and surveillance process, read our article here or for more information about Honeywell products go here. Start feeling safer and more secure today, Call us at (415) 456-7000. SoundVision is available to install Honeywell alarm and security systems integrated with any of your existing systems for residential, corporate or commercial purposes in the Northern Bay Area including, San Francisco, Marin, Sausalito, Tiburon, Belvedere, Mill Valley, Corte Madera, Greenbrae, Larkspur, Ross, Kentfield, San Anselmo, Fairfax, San Rafael, Napa, Novato, Calistoga, Saint Helena, Petaluma, Santa Rosa, Rohnert Park, Windsor, Cotati, Cloverdale, Healdsburg, Sonoma, Berkeley, Piedmont. Every year techs from across the globe gather together for Consumer Electronic Show (CES) in Las Vegas to show off their newest technology and unheard of gadgets to awe the audience and stir up a buzz for their upcoming releases. This year we came across some innovative concepts, fun toys and a few things we can’t wait to test for ourselves and could potentially make their way into your smart home. We only recommend a product after vigorous amounts testing to make sure they are up to our standards. These products are expected to come on the market later this year and since we have yet to test them we can not recommended them, but we’d love to know which products caught your eye so we can further investigate! As cable and satellite prices continue to skyrocket with bundled packages and an excess of unneeded services, alternative platforms are coming in hot. Sling TV, an online television service, has set out to revolutionize our TV habits. With no cable box, satellite dish or co-ax required, it was the biggest hit at CES this year. This next generation service by Dish is only $20 a month, requires no contracts or commitments and offers a decent lineup of channels including TBS, ESPN and Disney making the decision to cut the cord that much easier. These channels can be streamed from a variety of platforms you already own like the Roku, Amazon Fire TV, Xbox One, Mac, PC, or Smart TVs. The app itself looks beautifully crafted and user friendly for iOS and Android devices. Sling TV is definitely the step in the right direction and what many of us have been waiting for! Channels offered: TNT, TBS, CNN, Food Network, HGTV, Cartoon Network, Adult Swim, ABC Family, Disney, ESPN, and ESPN2. Additional channels will be offered as add-on packages for $5 each for further customization. This new technology is unlike anything you’ve been able to get your hands on for your smart home. WattUp charges your phone or wearable from up to 15 feet away without any wires or charging pad … Amazing! You are now able to move around while your device is still being charged allowing you full range and flexibility with no loss of power. The transmitters communicates with compatible device with low-energy Bluetooth through a closed or open network. The network is able to prioritize devices with low battery until the desired level of charge is achieved. There are currently no devices that integrate with WattUp technology, so phones receive power through modified battery cases. To find out more about how this technology works, read up at Engadget. We see amazing potential with this technology for our future homes, but until then we will patiently wait for Samsung or Apple to add this technology to their devices before it blows up. This Android TV microconsole is aimed specifically at gamers and was a favorite of the people this year at CES. While there isn’t anything astonishingly innovative about the product, it allows you to stream any game from your Mac or PC to your TV. The Razer Bluetooth uses Wi-Fi to provide low-latency streaming from a source much more suited towards gaming than that of your PC. Additionally Forge TV doubles as an Android entertainment center for apps like Netflix, Hulu and Spotify for only $100 or $150 with a controller. This TV offers the best picture quality on the market, with OLED. This extremely thin TV was seen as the best of the best at CES this year and can switch from flat screen to a curved screen by the touch of a button. These lightweight cameras are weatherproof, durable and perfect for adrenaline junkies and drone pilots alike. This action camera shoots in 4K and uses SteadyShot to stabilize footage for your smoothest thrill seeking videos yet! How about it? Your very own memories could be some of the first 4K content your family and friends watch, it’s bound to be something you’ll never be able to forget. The newest thing in surveillance is the Netatmo Welcome Wi-Fi camera that shoots in full HD. What sets it apart from other surveillance systems today is the facial recognition, once your loved one enters the home or an unknown face walks through the door you can receive a notification on your phone. You will now be able to keep track if anyone’s home through the customizable app. You can even have the Netatmo’s system hooked up with your TV, so upon your kids arrival you can set the TV to be locked to ensure they’re getting their homework done. The camera records 5 seconds before and after a trigger and includes local storage via an SD card where recorded videos and identification data are stored for all potential security breaches. This oven contains turn of the century technology for your state of the art kitchen, like nothing you’ve ever seen before. This oven has WiFi connectivity, panels to control over 100 cooking programs that will walk you through meals step by step. The oven also allows you to select ingredients you currently have in your home or set a calorie limit for customized recommendations. It includes two true convection ovens, one with a steamed cook option to keep moisture in and the other includes microwave heat to speed up the process and a warming drawer underneath. It allows you to slow cook, fast cook and provides directions for everything you’d ever need to cook, at $14,000 could it actually be worth it…? We have not tested these products as of yet, but they have caught our interest here at SoundVision. Let us know what product caught your eye and would love to have in your home! iPad/iPhone/Android Home Control is Here! Music – We love the Sonos app because it is so easy to use. Just touch the room you are in and then choose the music you want to hear. You can play the same music in multiple rooms, or something different in every room. You can choose music from your iTunes library, or any online music service including Pandora, Spotify, Sirius/XM and more. Imagine coming home from work, pulling out your phone and having your favorite Pandora station playing from the instant you walk through the door, meanwhile your kids are in the next room over rocking out to their favorite station, everyone’s happy. Lights & Shades – Lutron is the market leader for lighting control and motorized shades for a good reason. They have allowed us to replace multiple light switches with elegant keypads, and they have a simple app that allows you to easily control all the lights and shades in the house, as well as heating and cooling with the use of their wireless thermostats. Have you ever left your house wondering if you left the lights on? We’re only human… Now you are able to check the Lutron app, see which lights are on, switch them all off, shut the shades and leave the porch light on. No more stress. Heating and Cooling – Nest has made a huge impact with their wi-fi enabled thermostats. Just replace the existing thermostats and you can use their simple app to control your heating and cooling from anywhere in the world. After being away on a trip you can adjust your thermostat on your drive home to ensure sure house is toasty warm upon arrival for total comfort and control all the time! Pool & Spa – The new pool/spa control systems are web enabled to allow you to control pool and spa temp settings, lights and features from a simple app. After a long, strenuous bike ride you want nothing more but to relax in your jacuzzi, with the Pentair app you can set the temperature halfway through your ride for the perfect muscle relaxer upon returning home. Media Systems – We have noticed that most customers prefer watching TV with a wand style remote control, but if you want the wow factor you can use an app as well. We like the URC remote controls, and their app allows simultaneous control with a very cool interface. Your show is about to start and the kids have misplaced the remote….. with the Complete Control app you now have full remote capability from your phone or tablet. Phew! Alarm System – Honeywell’s Total Connect App allows you to arm, disarm, view status and get email or text alerts from your alarm system. You’re friend is coming over to pick up something from your house, but your not home and your alarm is set, uh oh! Well now with the Total Connect App you can disarm your alarm from anywhere in the world and set your alarm as they leave, no problem. Surveillance System – When we install surveillance camera systems they are connected to a network video recorder that can be viewed via an app from anywhere in the world. Have you ever been on vacation and wish you could check up on your house? Well now you can see your surveillance cameras from anywhere through your phone and if something doesn’t look quite right you can use the rewind feature to curb your worrying. Whole Home Control – Savant, Crestron & Control 4 all have apps that provide total control for all your systems throughout your home at once from your iPad or iPhone. These apps can control everything at one time with a customizable user interface, but not always as well as the individual apps. What’s one of the things we hear most from our customers? When picking the right TV for your living space its crucial to find the ideal size that matches your lifestyle, taking into consideration the size of your living space, the viewing distance and the desired viewing experience. When choosing a TV, the rule of thumb is that there is no such thing as too small, however bigger is better…. to a degree. It is important to find a happy medium so your TV looks balanced and does not dominate the space. Most families watch TV in the family room, so why not make it the best experience possible? Placing a 103″ TV in a standard family room will not do your living space any justice and a TV that is too small will not utilize all of the benefits high definition has to offer. For the best picture quality you must determine the right size based on your viewing distance, you can do this through a simple formula. The ideal viewing distance is 1.5 to 1.8 times the screen width. If your looking for a TV in a bedroom you may scale towards the minimum dimensions, but in an open space like a living or family room you might want to lean toward the larger sized TVs . Sixty-five inch TV’s are turning into the most popular size for our customers, but you may want to consider going the next size up. It’s quite common for our customers to settle in with their new TV only to realize they really would enjoy a slightly bigger upgrade. Our suggestion? Figure out the largest size you are willing to have, and go one size up! Have questions? Schedule a consultation with us and we’d love to help you find the perfect size for your next TV! If you could do it again, would you get a bigger or smaller TV in your living room? Back in the day we had standard definition resolution TV that was referred to as 480i, or 480 interlaced lines of resolution. Interlaced resolution uses two separate fields to create a frame, refreshing only the odd lines of an image in one frame and then the even lines in the next frame. Americans have upgraded our viewing experience to High Definition television. There was a debate about what was better, 1080i or 720p. 1080 lines of resolution is better than 720 lines, but progressive scanning is better than interlaced. “Full HD” was the name given to 1080p or 1,080 lines of progressive scanning, Most TVs sold in the past few years were 1080p or “Full HD”. Interesting trivia fact – most broadcast television is still run in either 720p or 1080i. The latest revolution in TVs is 4K or Ultra HD, which has 4 times the resolution of high definition standards. Can you remember when your family first made the jump from standard to HDTV? I remember thinking how REAL it felt, like the actors were in my living room, it was incredible. Ultra HDTVs, also known as 4K TVs offer 4 times the resolution of high-definition technology, that is 8 million pixels compared to the 2 million pixels offered by HDTVs. High definition shows will scale to the 4K resolution and it does look better. This adds more detail, more color, more clarity and more contrast to your viewing experience. So how does the jump from standard definition to HD compare to our latest jump to 4K ? If going from standard to high definition was a jump from 40% to 90% in terms of picture quality, then the jump to 4K gets you to 100%. The price increase for Ultra HD is around 15-20% and we believe it’s worth doing. We don’t recommend replacing all of the TV’s in your home, but if you are in the market for a new one we think 4K is the way to go. 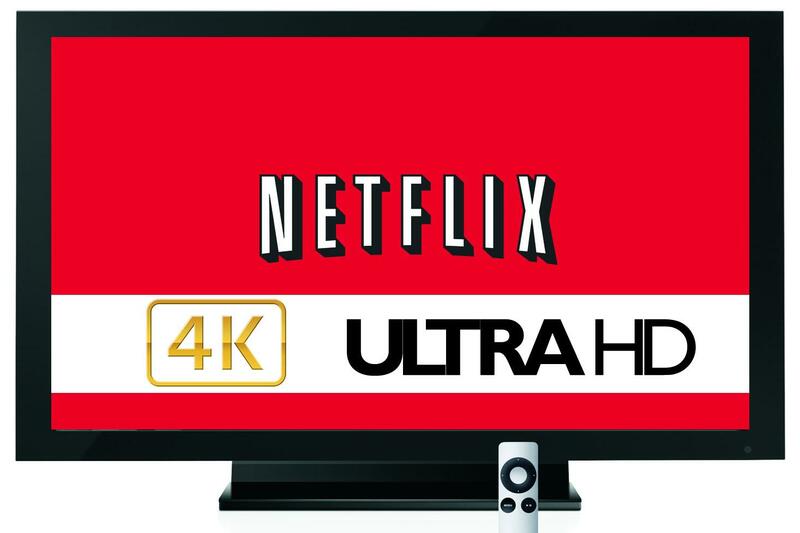 As 2015 progresses, 4K content will just continue to roll out for multiple different platforms, which is great news for us. Ultra HDTV’s are not another gimmick, merely the next step in the evolution of resolution. Seeing is believing when it comes to grasping the clarity of 4K resolution. Give us a call and make an appointment to come witness the 4K revolution for yourself in our showroom.